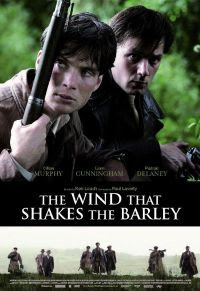 Here's a half-decent flick that recounts the post-World War One birth of the Irish Republican Army. The first half is a little dull, and I spent most of my time trying to get my ear accustomed to the accents, but the second half moves quickly, in fact, so much so that I didn't even realize that two of the main characters were brothers until there was only half an hour left. Authentically awkward performances, and visually appealing cinematography along with a refreshing lack of over-the-top violence add to the credibility of this effort, but unless you're into historical dramas, you probably won't care for this one. On another note, I also saw former Canadian prime minister Joe Clark at the theatre and, in a suprising outbreak of self-control, refrained from indulging in my long-held fantasy of kicking him in the balls. If the subject matter of the movie interested you you should read A Star Called Henry by Roddy Doyle. It's a fictional account of an Irisj kid named Henry Smart who becomes one of Michael Collins' main guys. I can lend it to you if you are interested. I saw Clark at a Lynx game last summer and had to refrain from the same thing. Thanks for the review Roadie... this one is on my list. I have heard it tends towards the simple, Irish good, English evil formula but I'd still like to see it. Loach is a great Director, even if he tends to use his films to make political statements. Does it get into the Collins/De Valera split at all? A tiny bit, but not much.